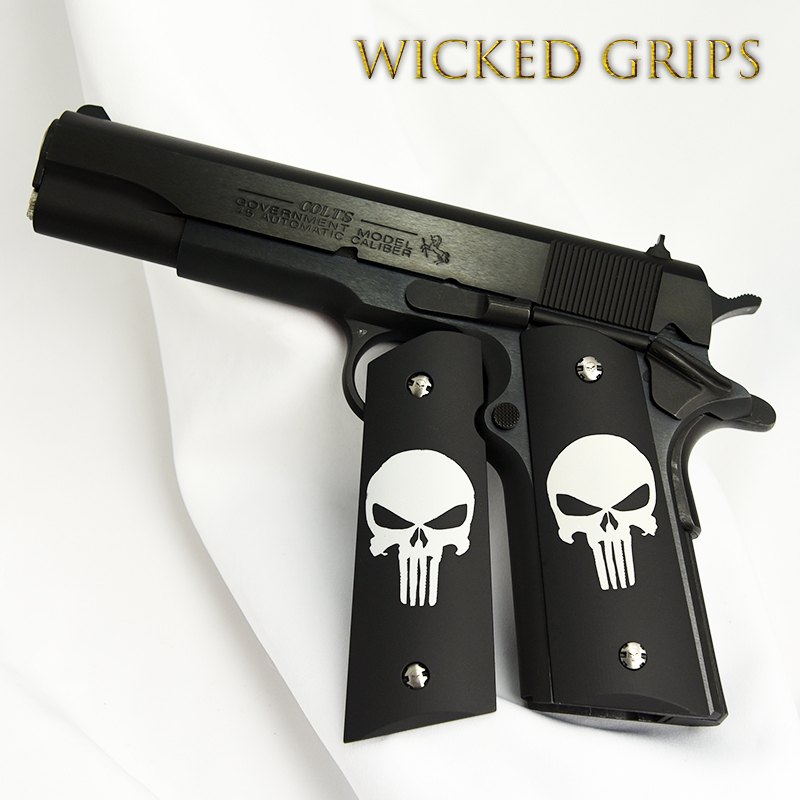 1911 CUSTOM GRIPS CLASSIC PUNISHER CERAKOTE. 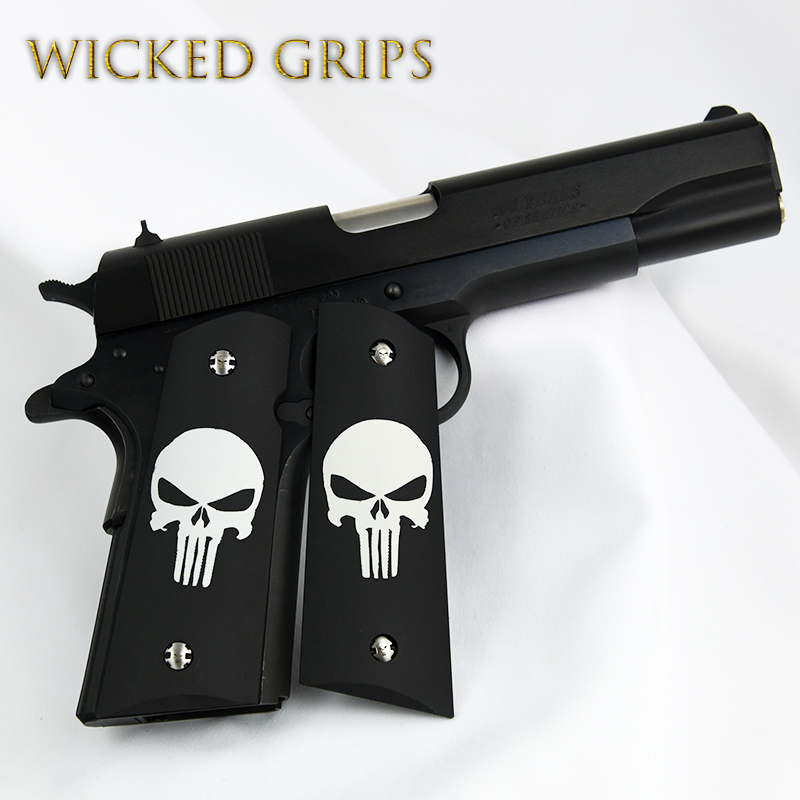 OUR CLASSIC TAKE ON THE COMIC PUNISHER… BLACK AND WHITE CERAKOTE ON ALUMINUM. 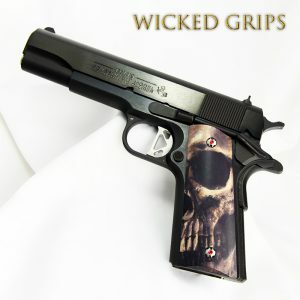 The black on white in a satin matte finish gives a classic comic book look to this set, simple yet bold. 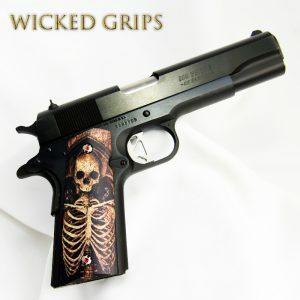 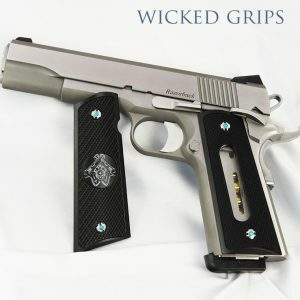 We created these grips to give your firearm a raw, gritty graffiti type look. 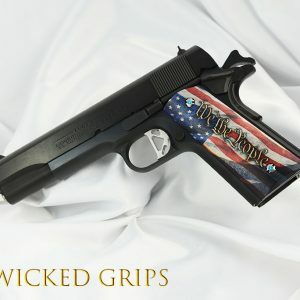 Each grip is unique and the photo below is a good representation of what you will receive.